This is where you get to use all of those beautiful laces, ribbons and braids, beads, buttons and charms, cheap and even broken jewellery and other odd bits to embellish the surface of your crazy quilts. 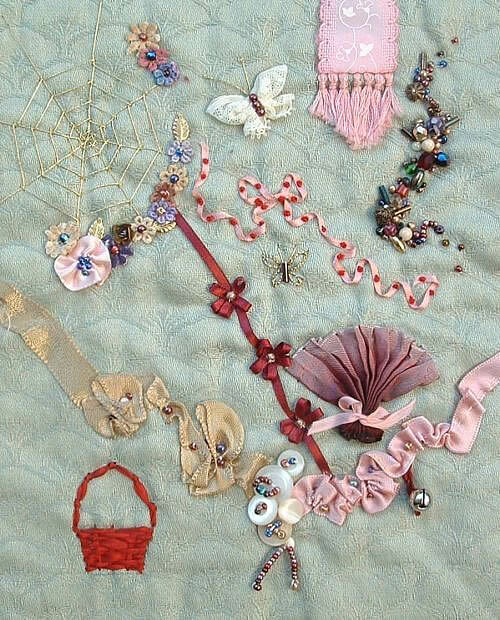 Below is a sampler of embellishments that I have used on my crazy quilts. Silk Ribbon Basket, Button Cluster with beads.